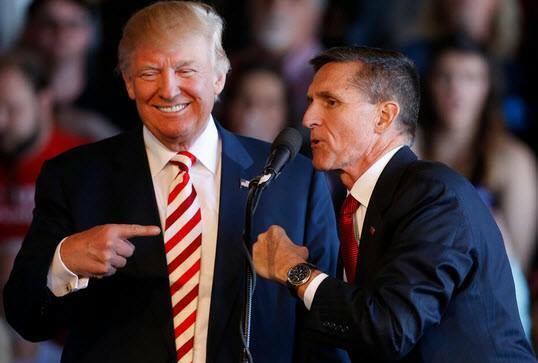 And so it has begun...and it has begun with much controversy and actions surrounding the resignation of General Flynn...but know it was a take down not a resignation per se with General Michael Flynn being either collateral damage or an example being made of in a much bigger and more sinister plan...a plan to actually take down both President Donald Trump himself along with his administration...a man and an administration who some deem not legitimate and who others deem a serious threat to the truth being exposed about both Obama and the true enemy we face. A sinister plan of revenge for an election lost and by those who wanted Barack HUSSEIN Obama to remain in office for a third, fourth, or even fifth term...a sinister plan involving the exposing of sensitive national secrets...a cunningly orchestrated plan of attack that we believe came from Obama’s shadow government still operating from both within the White House itself and from those holdouts and loyalists still in government positions who have yet to be rooted out and replaced. So let’s start with some simple facts prime of which is that it is not a crime for General Flynn to have talked with the Russian ambassador. Trey Gowdy himself has said just that and if Gowdy says that then it is indeed so. Also, at the time General Flynn spoke with the Russian ambassador he did so as part of the transition team and was still a private citizen...a retired general who was not yet sworn in...therefore his conversation could be deemed as two friends chit-chatting about the day’s events...a conversation so benign that General Flynn would still have his job if not for the leaks. And the fact that the key conversation in question took place on the same day that Obama, via executive order, called for the expulsion of 35 Russian diplomats means little in the scope of things for Flynn could have been saying a simple good-bye to a friend. Now whether this scenario be the case or not...as no one has proof of what was actually said...nor whether it was true that sanctions were what was discussed...is not important for Flynn’s not yet being sworn in when the discussion took place could simply mean that Flynn was anxious to do a good job and was diligently engaged in his upcoming job description as National Security Advisor...a job requiring research gathering, writing papers, and giving briefings and intelligence reports to his boss...President Donald Trump. And simple logic dictates what better way to do research than to talk to the very people you are researching. So what then is really important in this case...simply that you cannot allow Americans to spy on other Americans whether it be by the NSA, the FBI, or any of the other alphabets nor can you give out classified information critical to our national security whether that information comes from the said intelligence community, from the media, or from those still loyal to the traitor who was the recent occupier of the White House...a recent occupier named Barack HUSSEIN Obama who has publicly said he has no love for President Trump and who has vowed to hold him to task for each and everything Trump does that he does not approve off. So what if Flynn or others being part of Trump’s team now being accused of having talked to the Russians did so, what we have here is a classic case of divert and deflect. Now let’s look at the big picture instead of at each individual vignette and let’s start with the bottom line...a bottom line called Israel. How so you ask...it is all about timing. 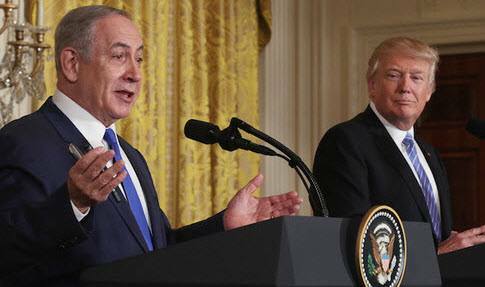 Shortly after winning the election President-elect Donald Trump made it known that one of his first key visitors to the White House would be Israeli Prime Minister Benjamin Netanyahu, and that said visit would be in early to mid-February, thus providing the time frame necessary for Obama’s shadow government to line up a February surprise. And why is Israel and Netanyhu a key player in the Flynn scenario...because Obama and crew could ill-afford to have the truth get out about whom he really is and whom he really worked for during his eight years in office. How so...because General Flynn...one of the generals fired by Obama...had and has been an outspoken critic of Obama’s and his relationship to both islam itself and to those actually out to kill us all. This includes his ‘aiding and abetting’ America’s true enemy and his making deals with said enemy who wants to wipe Israel off the map and then come after us, with the current invasion of Europe being but a necessary and welcomed temporary diversion that only adds to the growth of the caliphate. Flynn’s hard line stance against islam, coupled with his being a relentless critic of Obama’s approach to the Middle East in general, his pre-existing contacts with Russian officials, and the fact of his being fired by Obama...a fellow life-long Democrat...and then rising to such a high level in Republican Donald Trump’s administration would put Flynn in the same position in Obama’s eyes as Israel herself...as in Flynn’s being enemy number one...an enemy that needed to be stabbed in the back and taken down at all costs. And why...according to our Israeli sources Flynn’s unexpected resignation right before President Trump was to meet with Prime Minister Netanyahu slowed down the policy and coordination between the two countries that was well underway, thus putting the remarks said by BiBi Netanyahu during his Wednesday joint press conference with Donald Trump regarding a 'regional deal' being worked on behind the scenes but not spoken of before into its proper perspective. And unbeknownst to many, General Flynn was a key player in establishing the terms of the newly renewed friendship and alliances between Israel and the Trump administrations, which was meant to be the prime point of discussion between Trump and Netanyahu during this visit. Also unbeknownst to many was that Mossad Chief Yossi Cohen and acting Israeli National Security Adviser Jacob Nagel had already made two undisclosed visits to Washington... one in December and one in January ...specifically to meet with Flynn and other senior aides in order to coordinate said policy between our two countries, including coordinating policies on Iran, Syria, and the Israeli-Palestinian conflict. 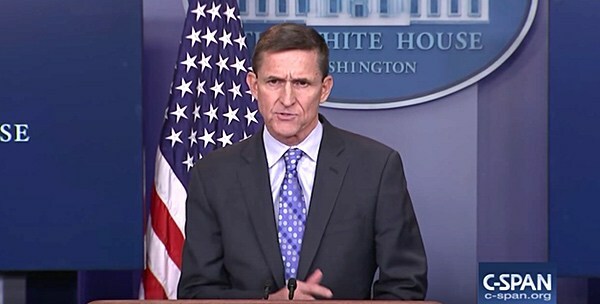 And while Obama and his fellow Democratic cronies are surely relishing in Flynn’s actually forced resignation know that losing Flynn as his advisor has not only caused Donald Trump serious issues but also has raised the ire of those in Israel who counted on Flynn’s dedicated stance on Iran and on islamic terrorism to influence the total direction of Trump’s foreign policy. 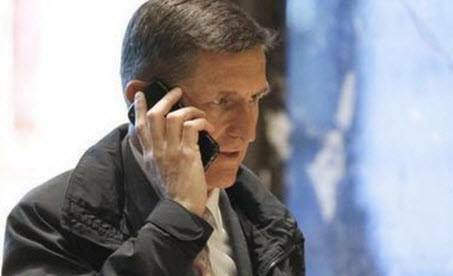 But as for Flynn himself and the bulls eye placed upon him the day he accepted the position as Trump’s National Security Advisor...a bulls eye placed not only by Obama and his shadow government but by the liberal mainstream media as well...know it was not a phone conversation between Flynn and the Russian ambassador that raised the left’s ire but, we believe, it was Flynn’s willingness to both work with Israel and against Iran and Obama’s very bad Iranian nuclear deal that made him the target. And as near as we can tell at this point, President Trump was reportedly dissatisfied with the idea that General Flynn had conversations with a Russian ambassador of which he was not completely privy to or with Flynn's lack of forthcoming to either himself or Vice-President Mike Pence. And since the National Security Advisor serves at the pleasure of the President, it was Trump’s call to make regarding either keeping Flynn, asking for, or accepting his resignation. That is what the liberal mainstream media is laser focused on…the 'supposed' triangle of mistrust between Flynn, the President, and the Vice President, and that is where they would like everybody’s attention to be…but it is not where we should be focused on at all. 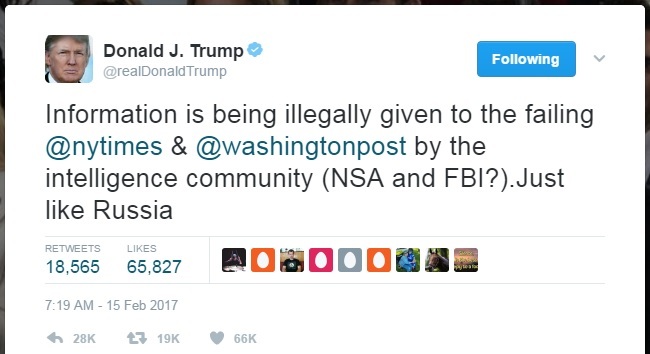 The real issue here is two-fold…first, that the NSA was spying on an American citizen and second, that they took whatever it was they derived from that spying and illegally leaked it directly to the liberal mainstream media. 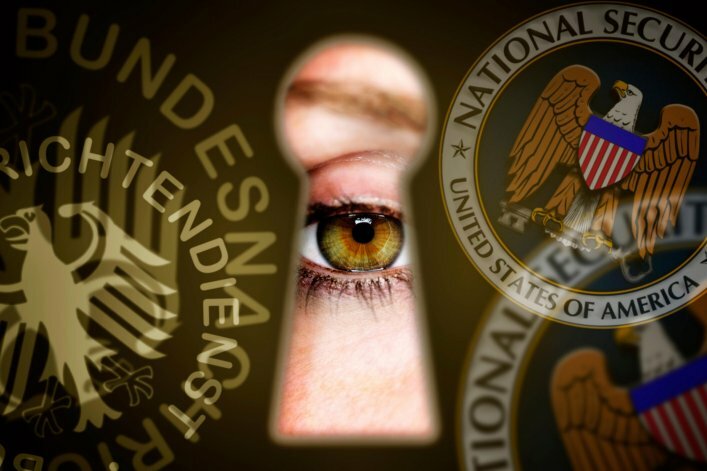 As to the second question first, anybody within the NSA could have leaked the information as its rank-and-file is still controlled by Obama’s minions as we are only three weeks into the Trump presidency and the rats have still to be ferreted out. Remember, under the Obama administration regardless of how highly placed an actual leaker was the end result would be placing the blame on a lower lever NSA operative all while rearranging the deck chairs on the Titanic as they say. However, in a Trump administration if the leader can be discovered the result will be the immediate firing of said leaker regardless of how highly placed in the NSA that person might be. Obviously this leak was intended to throw a monkey wrench into the rebuilding of the American/Israeli relationship that islamic-condoning Obama worked so very hard to destroy. Now for the first question, it is apparent that Obama has never had a problem ordering the NSA to spy on American citizens and if anyone doubts that fact they can certainly ask Edward Snowden about that. 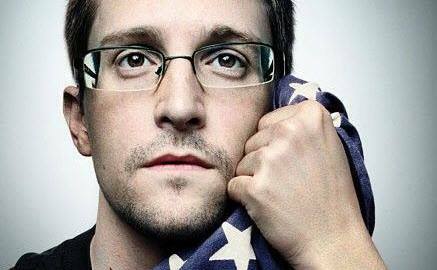 By the way, that is a fact that both General Flynn and the Russian ambassador would be familiar with as Snowden remains to this day a guest of the Russians. Therefore, it is no stretch to believe that the spying on American citizen General Michael Flynn was ordered by Barack HUSSEIN Obama himself as a means to keep the truth quiet, and because Obama has never had a problem in using the NSA to spy on those he perceives as his personal enemy. And while we have discussed why we believe that Israel is ground zero of General Flynn’s resignation, a bit more credence can be given to our supposition because within the next few weeks many of Israel’s top leaders are due to come to the U.S. both to speak at AIPAC and with members of Congress. And as it stands right now with General Flynn’s resignation they have lost their most powerful pro-Israel anti-islamic ally in the new administration, thus putting Israel at a bit of a disadvantage when and if Israeli/Palestinian peace talks resume. 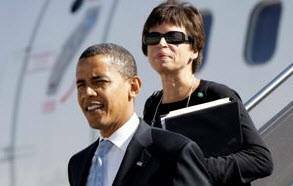 It would, however, be a mistake to solely focus on Obama as the source of the order to spy on General Flynn as his strings have often been pulled by his puppet master Valerie Jarrett whose pro-Iranian and anti-Israel virtual fingerprints are all over the very bad nuclear deal with Iran that President Trump has vowed to disassemble. 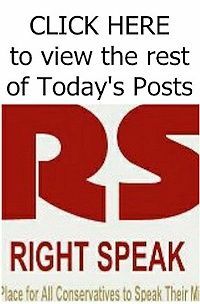 In a very real sense President Trump, because of this particular spying episode, must be aware that the spying would not be limited to General Flynn and that all members of his administration including himself must now be considered targets of Obama’s shadow government with maybe even Israeli officials being in their sights as well. How so and why...because of the sensitive nature of the talks between Netanyahu and Trump and between our two governments other officials as well, these discussions will now require that both men and any others involved in said discussions need to rely on alternative sources of communication to which the NSA is not privy to. 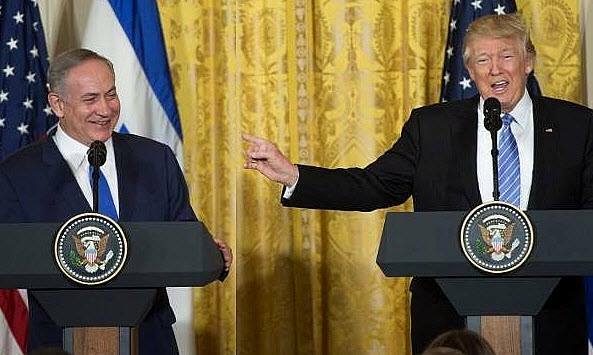 And if you think President Trump was caught off guard and unaware by the revelation that the NSA spied on General Flynn think again, because as we outlined in our article When Push Comes to Inevitable Shove Trump has already taken steps to limit open lines of communication between himself and Netanyahu with case in point being his sending of Rudy Giuliani to hand-deliver messages from himself to Netanyahu. And so there is an inescapable reality in all of this that Obama and his cronies in the media are not going to like at all, in that for all their combined efforts to spy on and take down General Flynn, and their attempts to manufacture a phony crisis of sorts to distract the American public from the fact that this is indeed all about Israel as mentioned above, this glitch of sorts that they have thrown into the rapidly rebuilding of our steadfast relationship with Israel is barely but a blip on the radar. 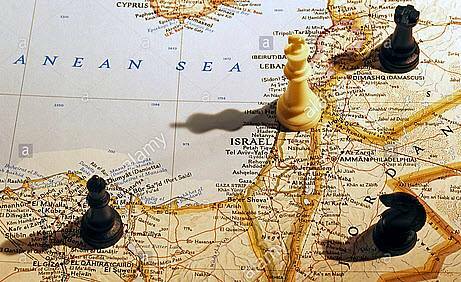 Progress in cementing our alliance with Israel against Iran and other islamist regimes in the region will continue unabated regardless of whom our National Security Advisor might be as President Trump and Prime Minister Netanyahu will simply be more secretive in their plans so that any future leaks can be and will be easily traced back to their source. Evidence of what is in store for those who would be planning and plotting against Israel...America’s great ally...can be found in the words of our pro-Israel friend, Secretary General of the Jordanian Coalition of Opposition…Mudar Zahran...who recently posted, “Sources: American and Western officials have warned Jordan's king and Abbas: A new Intifada will be "very harmful" to both of you...” This is a direct signal from one of our most trusted contacts that there is a lot more going on behind the scenes than Obama or the NSA has knowledge of. And General Flynn’s inability or unwillingness to accurately articulate his conversations with a Russian ambassador is far less abrasive with regard to his now former position as National Security Advisor than is the illegal spying on him by the NSA…the latter of which will actually do more to expose those ultimately responsible for said spying than it will to disrupt President Trump’s Middle East agenda. And as for General Flynn’s replacement, whomever that might be...just know that spying on him will not serve the NSA well for they have already given their hand away and as such best not try to play that game of chess again. 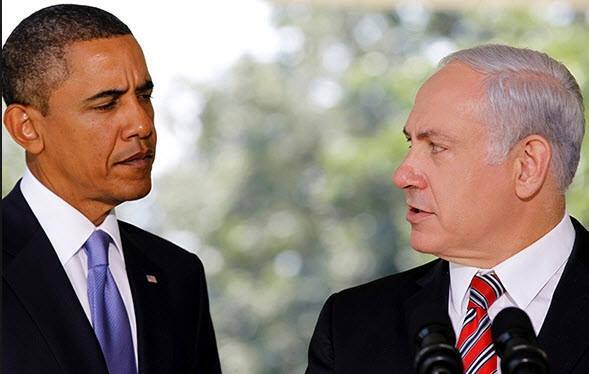 So by their succeeding in taking down General Flynn and thus exposing themselves and their covert operations regarding the attempted derailment of President Trump’s plans to stand strong with our ally Israel, the shadow government reportedly being masterminded by Barack Hussein Obama has become the architects of their own eventual undoing. And all the above is our beliefs and we stand by every word. Today, Friday, February 17th from 7 to 9pm EST on American Political Radio, RIGHT SIDE PATRIOTS Craig Andresen and Diane Sori discuss the resignation of General Flynn, continuing to define the Democrat party, and major events of the week.